Light, crispy fried egg rolls stuffed with ground pork and vegetables. Japanese style shrimp with cucumber & house vinaigrette dressing. Japanese style octopus with cucumber & house vinaigrette dressing. A refreshing salad made of fresh tuna cut in bite size pieces with fresh vegetables marinated in lime juice & creamy coconut dressing. A refreshing salad made of fresh tuna cut in bite size pieces with fresh vegetables marinated in lime juice & spicy sweet n sour sauce. Includes rice, stir-fried vegetables, and miso soup. 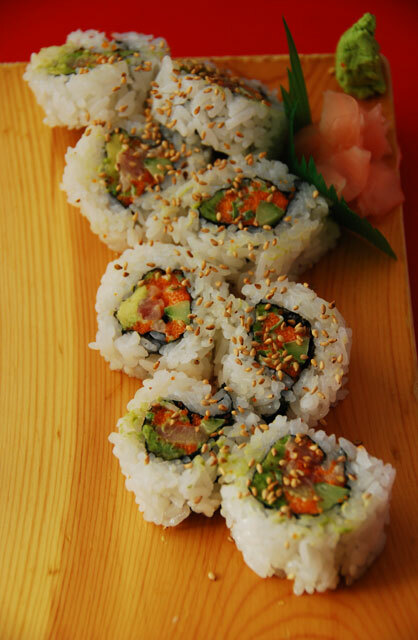 Substitute fried or brown rice for only $1.00 extra. 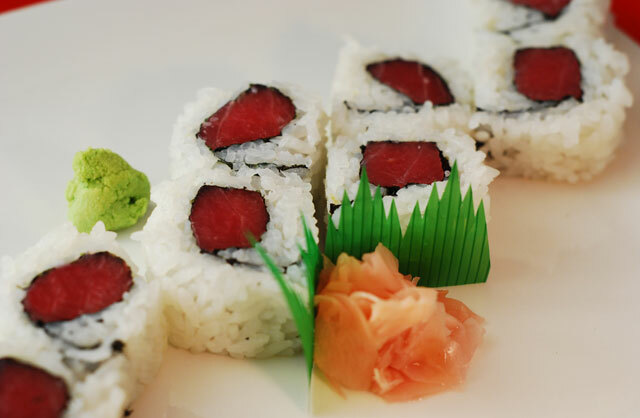 2 pieces of Ahi Tuna and 2 pieces of White Tuna. 1 Grilled & (1 Stir Fry or Deep Fry) or 1 Stir Fry & Deep Fry. 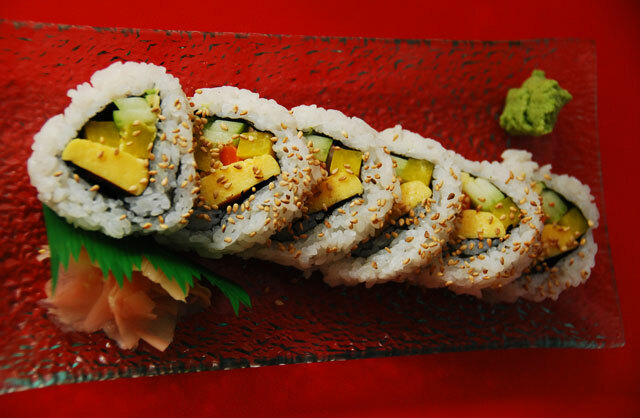 Substitute fried or brown rice for only $1.50 extra. 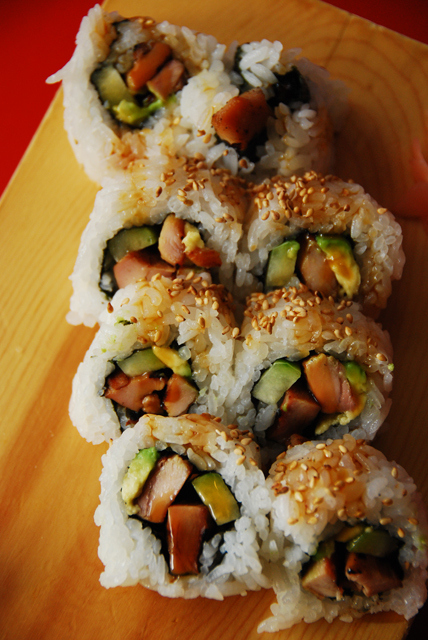 Includes rice and miso soup. One dozen pan fried pork dumplings. 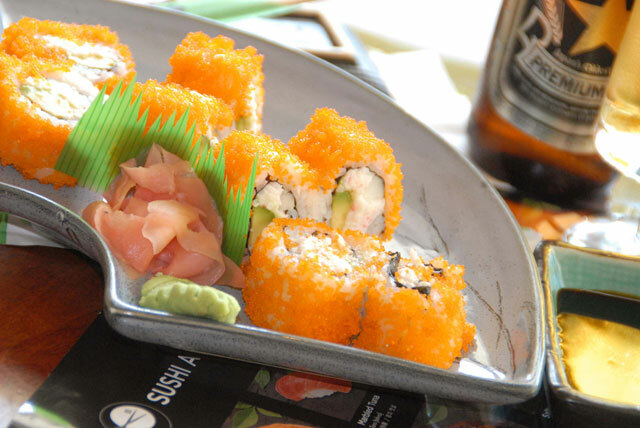 Includes 3 prawns & 6 different vegetables battered and deep fried Japanese style. 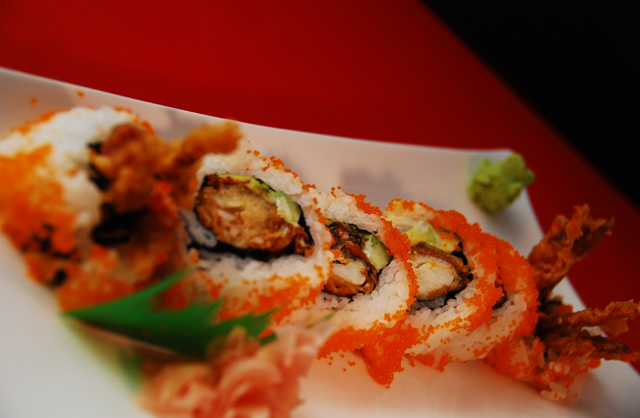 Deep fried fresh calamari, avocado and cucumber with ponju sauce. 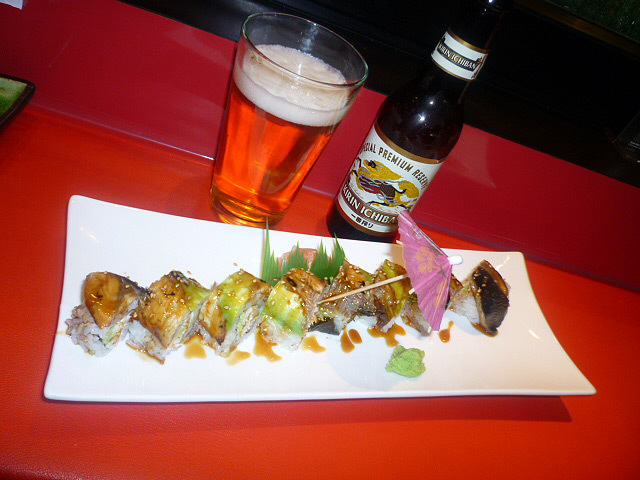 Unagi and crabmeat on top of avocado and sweet lemon sauce. 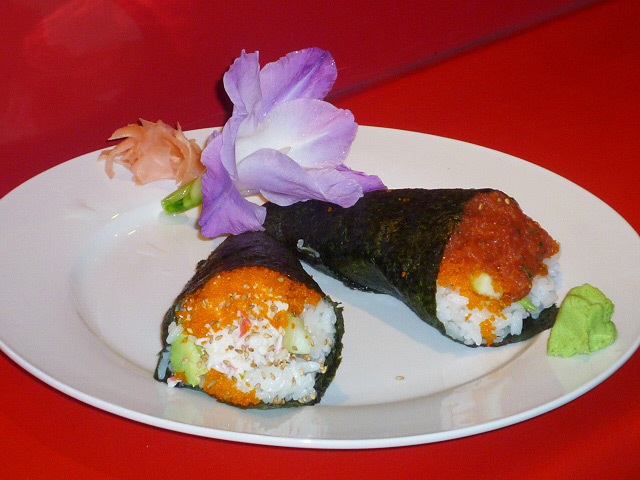 Tempura shrimp, crab meat, avocado and cucumber rolled into flaked coconut. 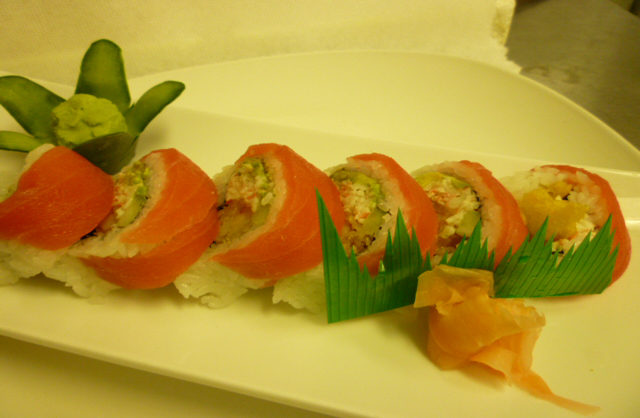 Tuna, salmon, yellow tail, avocado and cucumber with masago. 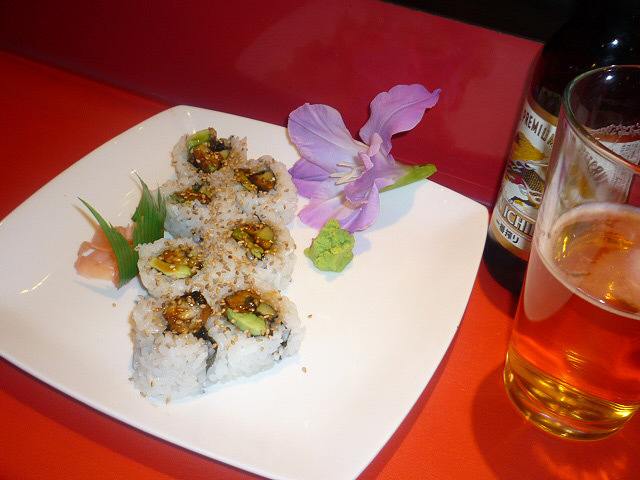 Broiled fresh water eel on top of California roll. 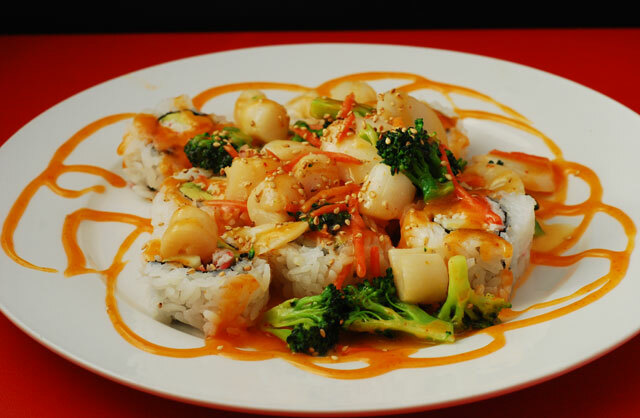 Rice cake and sauteed spicy scallop on top of California roll. 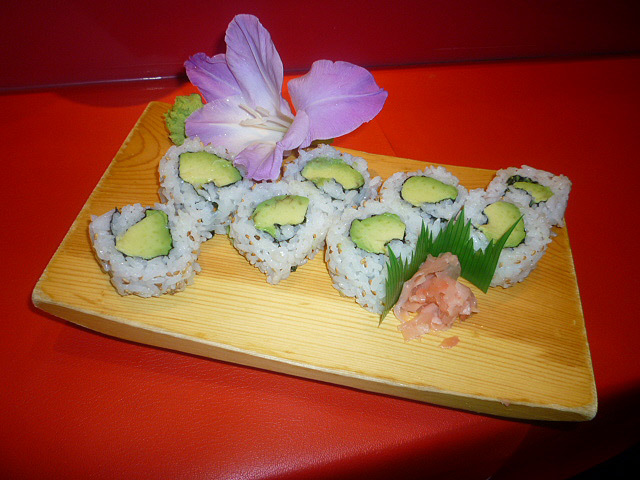 Fresh water eel, avocado and cucumber. Tamago (egg), avocado, cucumber and special pickled vegetables. 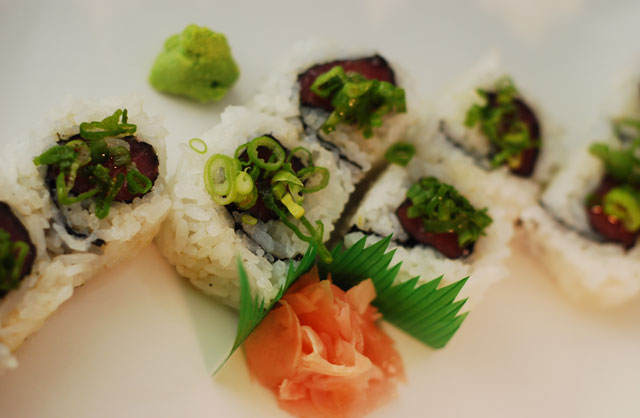 Tuna, sasame oil, hot pepper and green onion. 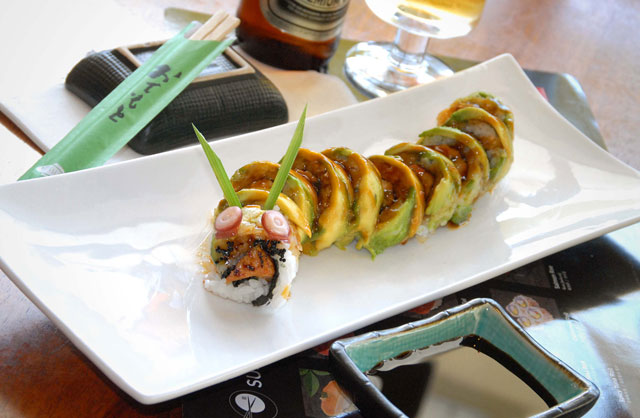 Crabmeat, avocado, cucumber and tempura shrimp on top of tuna. 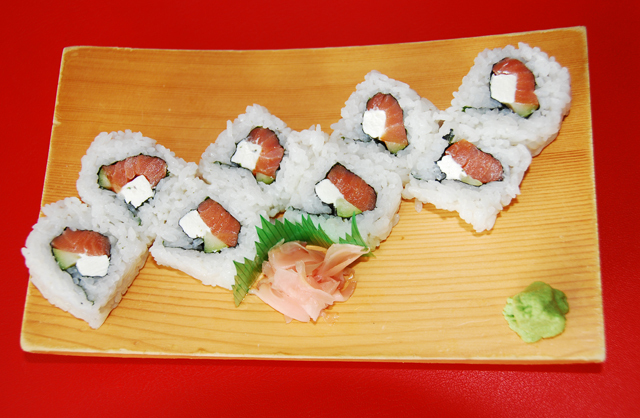 Smoked salmon on top of a California roll. 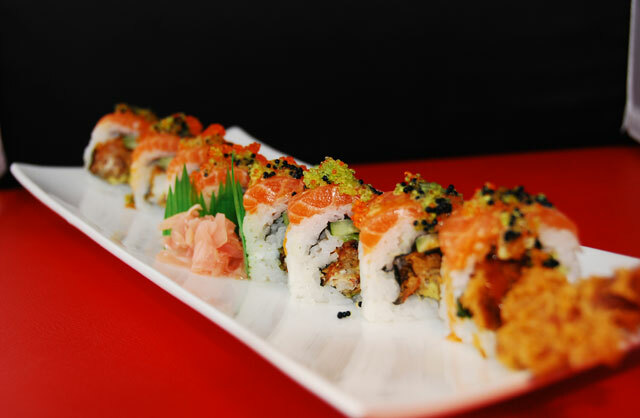 Salmon and tobiko on top of spider roll (soft shell crab, avocado & cucumber) with spicy sweet mayo on top. 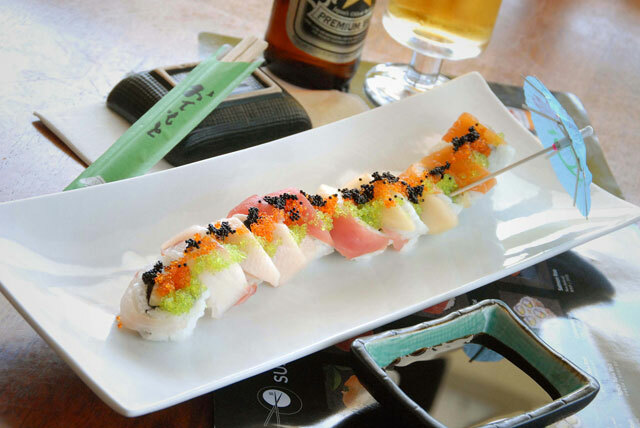 Yellow tail, green onion and masago. 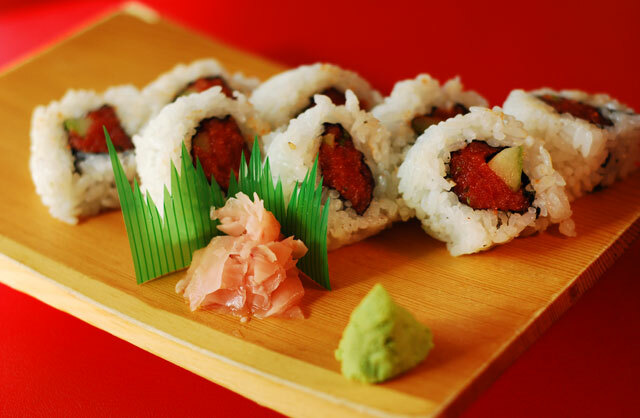 Salmon, tuna, avocado and hamachi on top of spicy tuna roll. 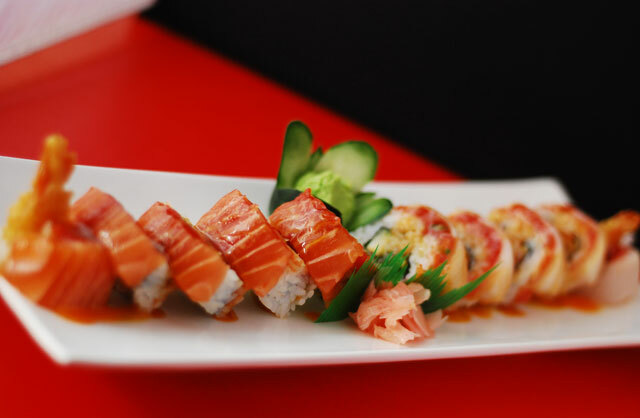 Tempura prawns, crabmeat, avocado and cucumber on top of tuna, red snapper and salmon. 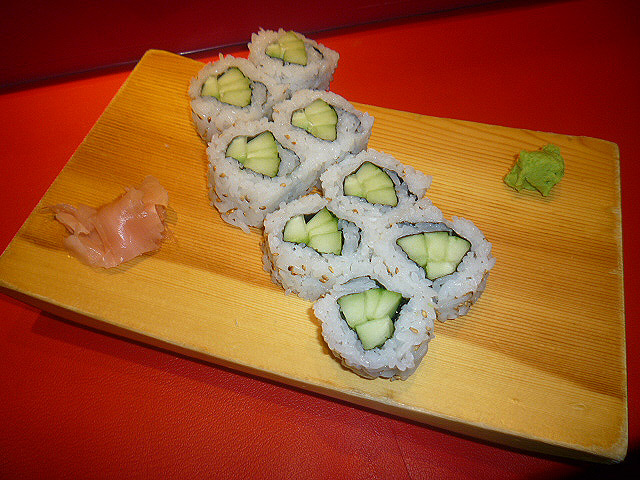 Cream cheese, cucumber and choice of fresh salmon or smoked salmon. 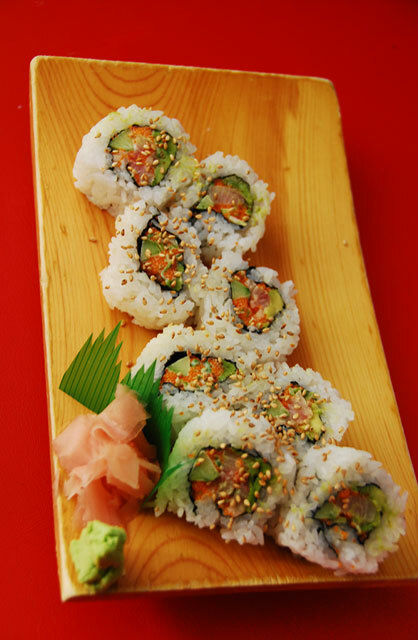 Avocado, cucumber and crabmeat on top of tuna, red snapper, avocado and salmon. 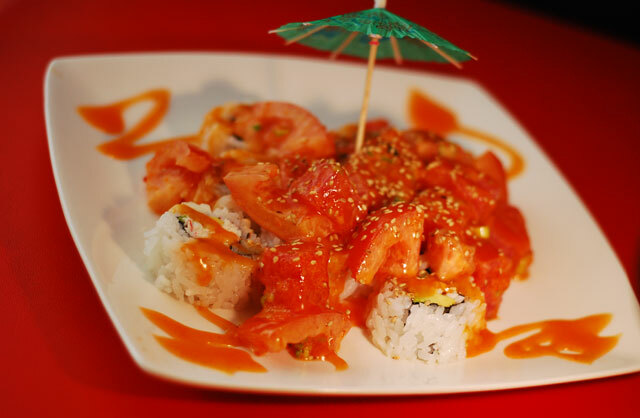 Tomatoes and chunks of spicy tuna and masago on top of California roll. 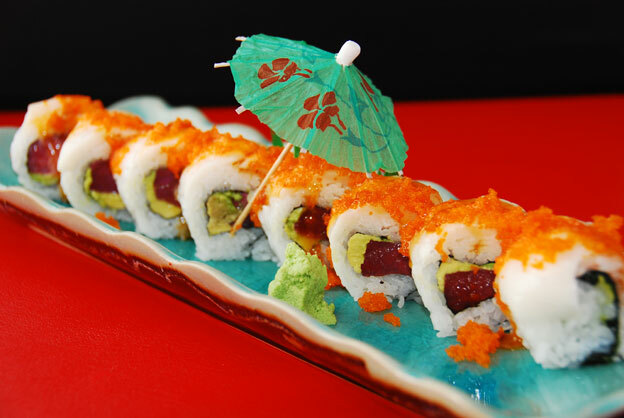 Chopped scallops, avocado, cucumber, mayo, masago and green onion. 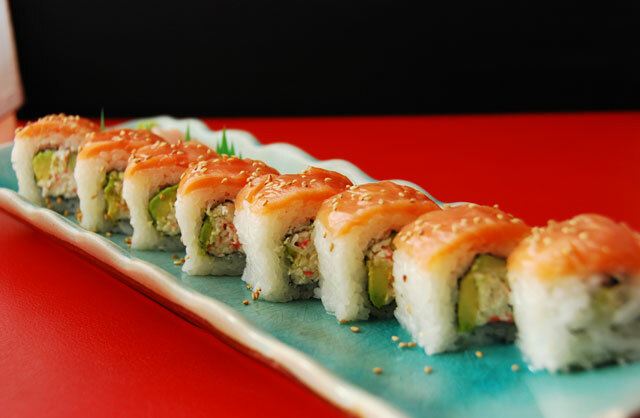 2 shrimp tempura, avocado and cucumber layered with spicy tuna, salmon, white tuna and special sauce. 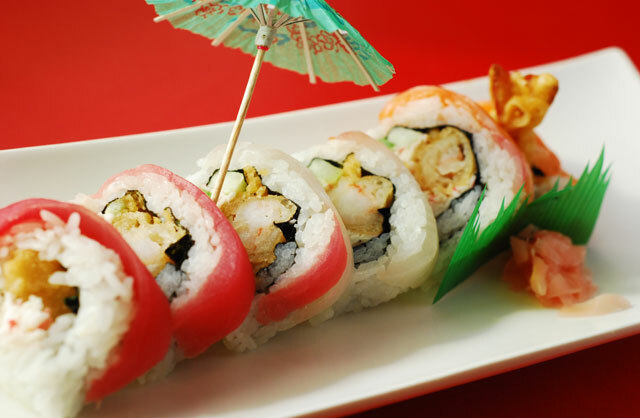 2 tempura prawn crabmeat on top of fresh water eel and tuna. 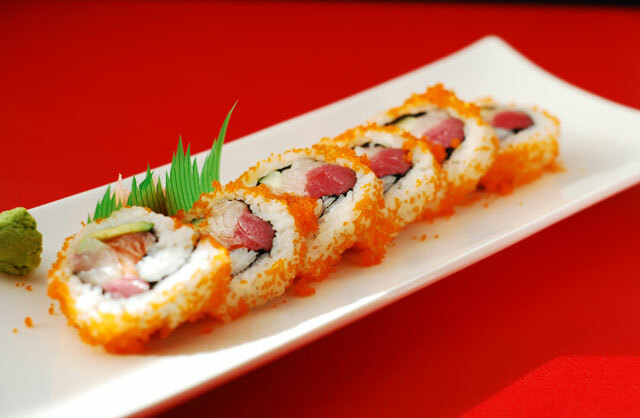 Spicy tuna, green onion and cucumber. 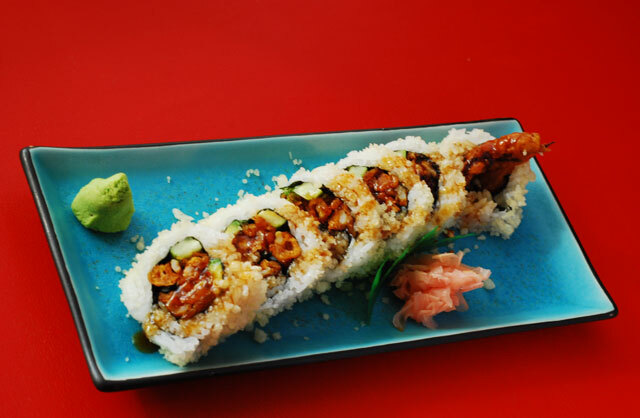 Deep fried soft shell crab, avocado, mayo and cucumber with masago. 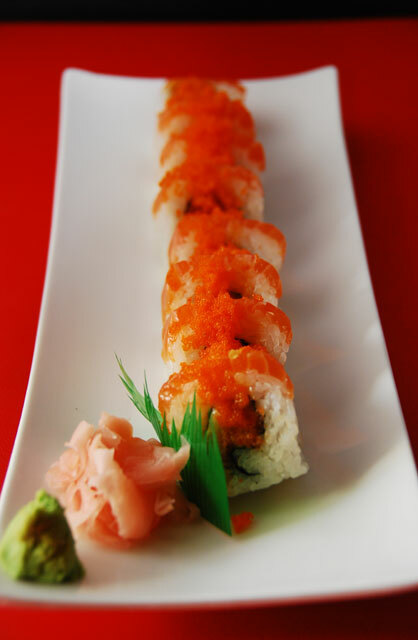 Salmon and masago on top of spicy tuna roll with sweet and spicy mayo sauce. 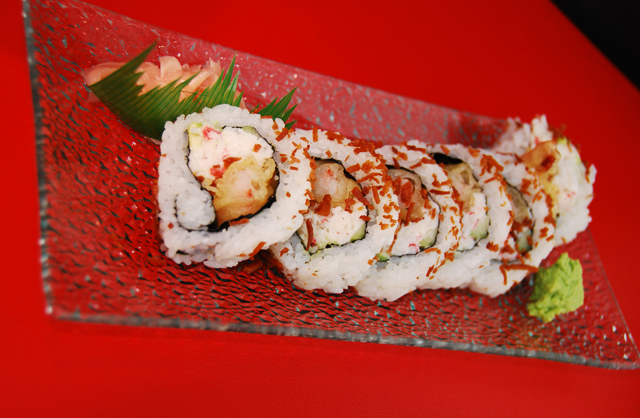 2 pieces white tuna and masago on top of regular tuna, avocado and cucumber with sweet and spicy mayo sauce. 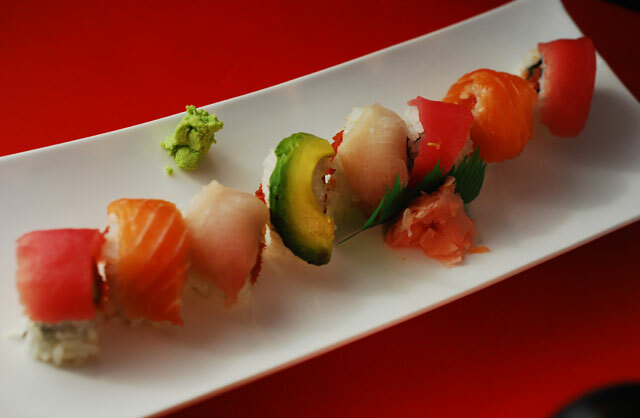 Garlic albacore tuna, avocado and cucumber on top of salmon, white tuna, ahi tuna, yellow tail and red snapper with 3 kinds of tobiko. 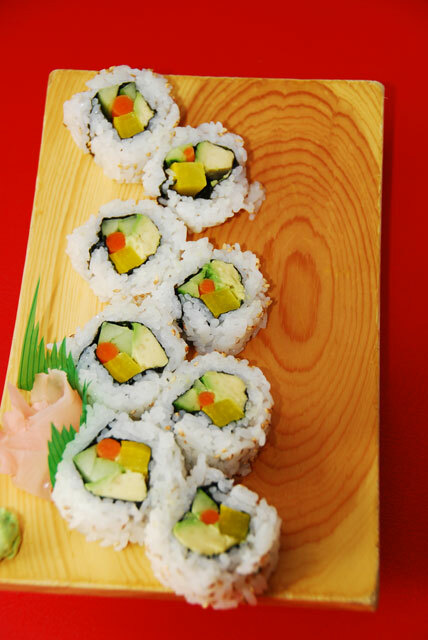 Yellow radish, kobo, cucumber and avocado. 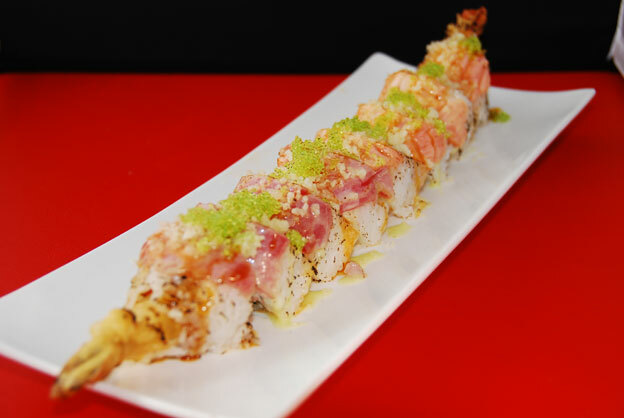 2 fried shrimp with crab meat, topped with salmon, tuna and tobiko with sweet mayo sauce. Seared with a torch. 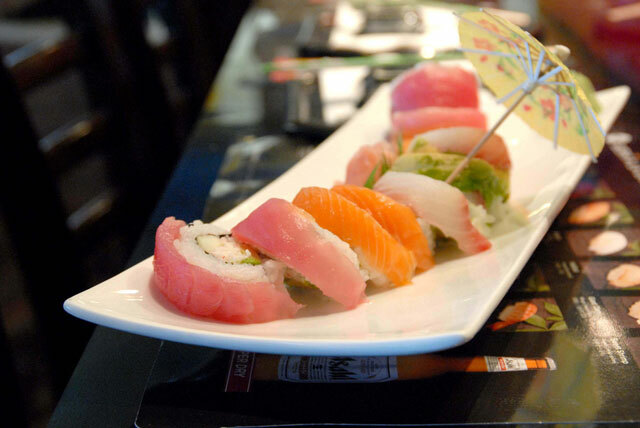 Fresh raw seafood, sliced into thin pieces. M.P. - “Market Price”. Ups and downs in the fish market may cause day-to-day price changes. Please ask for today’s price. 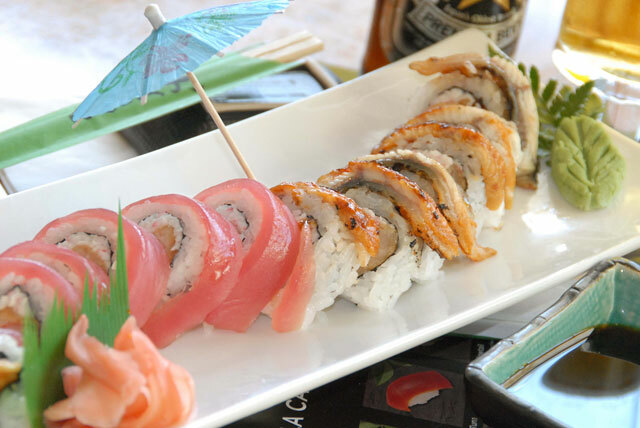 Includes 1 Grilled & 1 Stir Fry or Deep Fry or 1 Stir Fry & 1 Deep Fry.